Beware! ContinueFX is an offshore broker! Your investment may be at risk. ContinueFX is a CFD brokerage based in Saint Vincent and the Grenadines. It provides the MT4 and MT5 trading platforms and a spread of 2.2 pips on EUR/USD which is a bit above the industry average of a pip and a half. 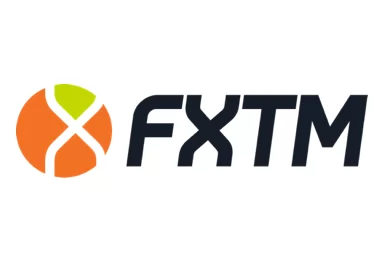 Clients are extended a generous leverage of up to 1:200 and the required minimum deposit is $100 which is quite below the industry average and in favor for the traders in our view. 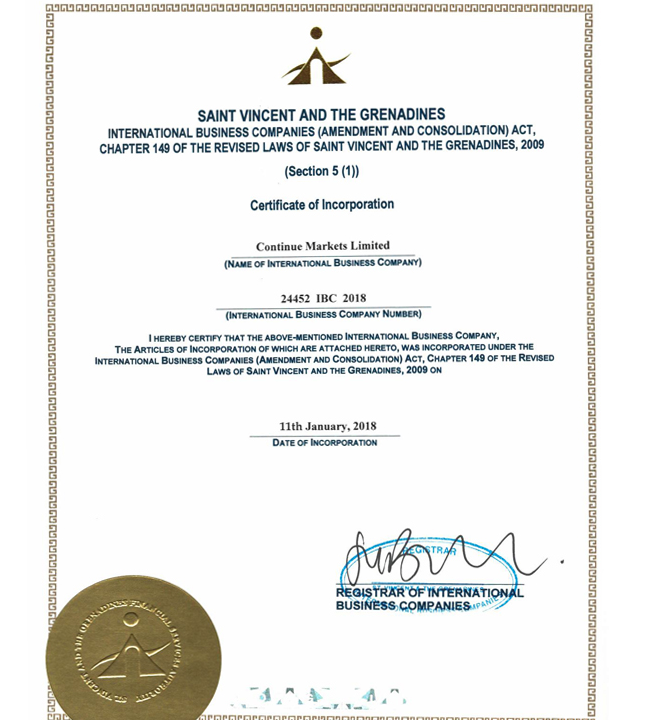 Regardless of such “certificates” the brokerage is registered offshore and not subject to any regulatory oversight because the government of SVG has multiple times publicly stated it does not oversee online Forex trading. We can thus safely conclude that ContinueFX does not fall under any regulatory oversight whatsoever. The lack of regulation is quite troubling because there is no guarantee of the legitimacy of the brokerage besides the word of the brokerage itself, which, when money is involved, hardly suffices. Furthermore, there is not authority to turn to in case clients fall victim to a scam. However, the brokerage does inform us about its trading conditions and it provides both the MetaTrader 5 and MetaTrader 4 platforms. The MetaTrader 5 trading terminal is the foremost trading platform at the moment and preferred by more than 80 percent of traders in the Forex world. Through a demo account we could see a spread of 2.2 pips on EUR/USD which is a bit above the industry average of 1.5 pips. Furthermore, clients are extended a generous but balanced leverage of 1:200. However, the lack of regulation and the offshore location inclines us to believe that potential clients may be open to substantial risk. We urge traders to exclude such risk in trading by only associating with brokers regulated by prestigious regulatory agencies, such as the FCA and CySec, which require compliance with a number of strict rules that give significant assurance for the security of the clients funds. Another is the participation in a compensatory scheme by which the client’s losses will be covered in the unlikely case the broker goes bankrupt or attempts to swindle traders. Potential clients of the brokerage may deposit or withdraw via a wide range of payment methods. 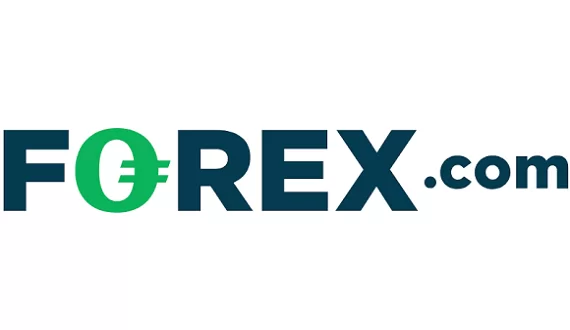 The available payment methods are the standard Visa, MasterCard, Bank Wire, popular e-wallets such as Neteller, WebMoney, Perfect Money, PayPal, Skrill, as well as Bitcoin. As you can see from the screenshot – the brokerage requires a minimum withdrawal amount of $100 or $10, there is a lack of clarity regarding the payment options the provisions pertain to. The brokerage openly states that it does not charge any withdrawal fees, however, this should not be viewed as a guarantee. ContinueFX may always decide to come up with some unexpected fees once the clients has invested funds. This is why we advise traders to always put up only the required minimum deposit, instead of risking a bigger amount with no certainty. Afterwards, they may also try to withdraw a small amount in order to check for any unexpected fees or delays. Such fees and delays are usually the signs of a scammer. Through clicking an ad with promises for fast money, you will be redirected to a website such as Bitcoin Evolution or Cashless PayGroup where registration will require you to give your address, email and phone number. After sharing your personal information, you will being receiving calls from brokers, compelling you to invest with them and win big. After a few minutes hearing their pitches, you decide to deposit some $200-250. And just like that – the scammers take a fat commission from this initial deposit. It is important here to take notice that both Visa and MasterCard are taking measures to combat unregulated forex brokerages by classifying all forex transactions as high risk. And with the case WigMarkets – they are correct in doing so. Furthermore, supporting their intention with clear actions – MasterCard has increased the previous time period of six months for filing a chargeback to a year and a half. Visa is expected to do the same in December.